I had a fascinating experience last week. 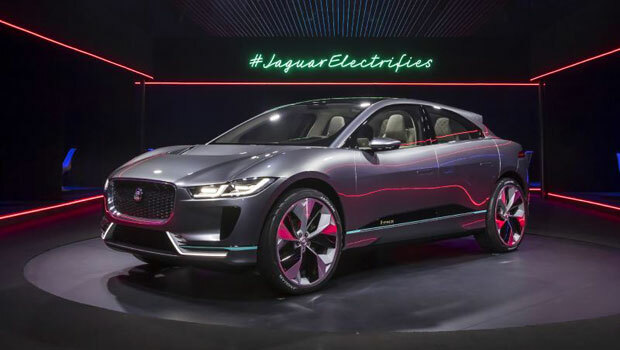 I got to see and experience the new Jaguar I-Pace, the company’s electric answer to the as-yet-unannounced Tesla Y SUV, long before I’ll actually get to see the prototype. I didn’t just get to see the car — I got to understand intimately why the car was created and what went into its design. I got to experience aspects of the vehicle viscerally, without actually getting into it. My experience was possible due to an alliance between Dell, HTC and Jaguar. It dovetails with a project that Nvidia and Audi have undertaken to showcase cars in dealerships without the dealerships actually having to floor the car. It opens the door, ironically, to an even more localized experience than Tesla has with its store front dealerships. I think VR eventually will change how we buy most physical things, and I find it amazing that it is starting with cars first. I’ll focus on that this week and close with my product of the week, which has to be this amazing new car from Jaguar. I loved it so much I got on a list to order it. There are three visual technologies in the process of coming to market right now. There’s augmented reality, which Google Glass showcased and nearly killed. AR overlays information over the real world — usually through some kind of small head-mounted projector muck like a heads-up display. Like heads-up displays, AR doesn’t really change what you see — it enhances or augments it. The newest of the new visual technologies is mixed-reality, which uses massive computing power to render and blend the real world with what is rendered. In its final form, you can’t tell the difference. It is pretty rough and more proof-of-concept now, with Microsoft’s Hololens the closest to production. That’s largely because it cheats, though — it is more an augmented reality device. 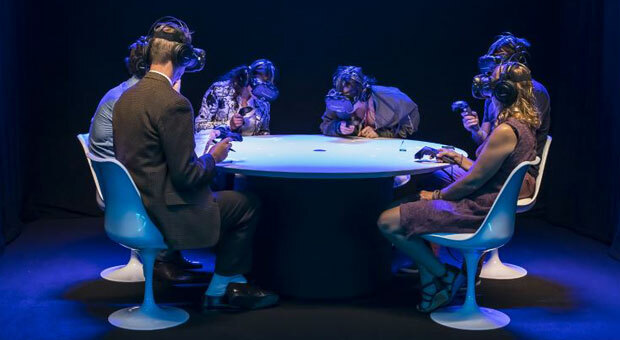 Virtual Reality is a fully rendered technology that places you in an environment. There are low-end offerings that use smartphones, which actually are surprisingly good. High-end versions use high-end PCs, as well as workstations and headsets from firms like HTC and Facebook subsidiary Oculus Rift. They now can create experiences that are ever harder to distinguish from reality. This is the technology that Jaguar, Dell and HTC demonstrated. Firms like Audi and Jaguar are working to figure out how to get people more excited about new cars, how to find new ways to engage and drive purchases, and how to assist in the car ordering process. This last is where Audi and Nvidia focused their effort. Their project enables a space in dealerships where a prospective buyer can put on a VR headset and then see the full range of options. It’s as if the customer’s perfect car were right there. Options include not only interior and exterior finishes and colors, but also features. Customers then can experience each feature or package as they would if they actually were driving the car. They can figure out, before paying for it, whether the car is worth their money. This is particularly important for newly launched cars. Mistakes often are made in ordering, because people either don’t realize they want a feature or it accidentally gets left out. That happened to me last month, when I got the Mercedes I’d ordered. A feature I’d asked for was left off the final order sheet due to changes made to the ordering system. Had I been able to see the rendering of the car I’d ordered, I would have caught the omission and not have missed this important feature (built in garage door opener and self-dimming mirrors). What Jaguar did was add significantly to this experience by changing the presentation from just a showcase for the car to a showcase for the whole story that surrounds the car. Manufacturers can hope we fall in love with a car at first sight, and some of us certainly do, but a far more powerful way to sell us on a car is to build a compelling story around it. It’s like the difference between seeing actors’ head shots vs. getting to know them and experiencing their art. They started our tour by taking us up above Earth to about where the Space Station orbits. That gave us an amazing, almost god-like view as they walked us through the birth of the car and built the car out with each storied major component, while both showcasing and telling us the back story. We then plunged to Earth were we could see the rendered car perform on roads. We got to sit in the car and have each major feature showcased, with Jaguar’s top designer explaining why each feature existed and, in some cases, why particular decisions were made. As a result, the car wasn’t two dimensional for us. We left understanding deeply why the car was the way it was, and that helped drive a higher level of lust in us. I think this is only the tip of the iceberg, because VR will allow you to do this wherever VR capability exists, potentially turning your future living room into a dealership. In addition, you could build driving experiences into presentations and embed cars into other content — like VR games. The next time you play a driving game, might actually play it with the car you own or the car the advertiser wants to sell you. Finally, they could actually give cars virtual personalities, much like in the movie Cars. Your car, or the car the firm wants to sell you, could be the hero of a coming virtual movie. That would get your kids wedded to the cars you drive and go well beyond what many of us did when young and named them (yes, I did that). This is only one of the massive changes we will see — not only in the automotive market, but also in the appliance market, the home market, and anyplace where seeing something rendered could assist in the offering’s sale or use. These experiences won’t be limited to VR. As we move to mixed reality, we’ll be able to see products as they would exist in our homes and cities long before they are actually built. As we move to self-driving cars, this may be how we gain back the fun of driving — by virtually driving in game-like settings while the real-world car we’re riding in safely transports us to where we want to go. I’ve seen the future of cars — and most of everything else — and that future is virtual!! It is rare I get this excited about a car that doesn’t yet exists. The last time it happened was when Infiniti brought out the FX-45 and made it look just like the amazing show car. I fell in love and bought the first one that came to Silicon Valley. Well, it happened again with the Jaguar I-Pace, an amazing all-electric SUV that makes the Tesla X look stupid. Granted, one reason the I-Pace makes the Tesla X look stupid is that Tesla apparently missed the meeting that explained “SUV” means “sport utility vehicle.” The X is not sporty — you’d never take it off-road — and it has poor utility, because the back seat doesn’t fold down. The X is also incredibly unreliable because of an excess of tech, like the electric gull wing doors, which not only are wicked expensive, but also seem to break constantly. The I-Pace, in contrast, uses more advanced batteries that help give it a range of 300-plus miles. Its focus is on performance: Its zero-to-60 time is 4 seconds, and if delivers far improved on- and off-road handling. It’s all wrapped in an extremely attractive body. The only sad thing for me is that this car likely won’t have the advanced rain and snow eliminating headlights Jaguar has been developing with Intel. They’re due in 2020, while the car arrives in 2018. Although this is a concept car, I spoke with some of the engineers, and it is almost identical to the final car. The only big difference is that it will have a fold-down back seat, so Jaguar clearly didn’t miss the “utility” part of the “SUV” class name. One of the interesting aspects of the I-Pace is that it uses water cooling. Heat is the enemy of batteries, so that decision allows the company not only to make the car look more like others, but also to gain value as a result. In the end, the I-Pace is a drop-dead gorgeous car. I loved it so much I signed up to order one. Further, it is a showcase for how VR can be used to sell cars, so I had two reasons for making it my product of the week.